Ming Hing Manufacturing Co. Ltd has been in operation for 40 years since it was established in 1963, specializing in metal gift and house wares. The company has grown from a very small manufacturing scale with less than 30 people including engineering, production and sales in Hong Kong, to over 600 people in Pan Yu, China, today. 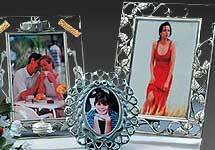 Since then, we have been supplying various metal gifts and house ware for prestigious customers in the U.S and Europe. The manufacturing started from a simple metal stamping production to full-scale house ware design, manufacturing, marketing and sales to all over the world. Customers can select from our diversified range of silver-plated, chrome plated, nickel-plated, pewter plated, and stainless steel gift and house wares. Our wide array of giftware and home furnishing include flower vases, candle holders, photo frames, serving trays, jewelry boxes and many other assortments. Our modern factory is equipped with advanced production facilities, which enable us to direct all our efforts towards fulfilling our customer’s needs. As one of the leading manufacturers and exporters, customers’ opinions are very important to us. We continuously improve on the product design, quality, cost, delivery schedule, and after-sales service, we hope to fulfill our customer’s needs and provide them the highest quality products. We look forward to be at your service in the near future.